Throughout the year we’ve been looking at a number of different loans and loan products, and their relationship with rates. So far through 2015 we’ve seen rates moving up and down like a roller coaster, and that trend may very well continue through the second half of the year. As rates adjust, people with Adjustable Rate Mortgages (ARMs) will see their loans adjust accordingly. So we pulled some data from Marksman to see what percentage of total quotes are for ARMs, as well as how those quotes distribute by state. 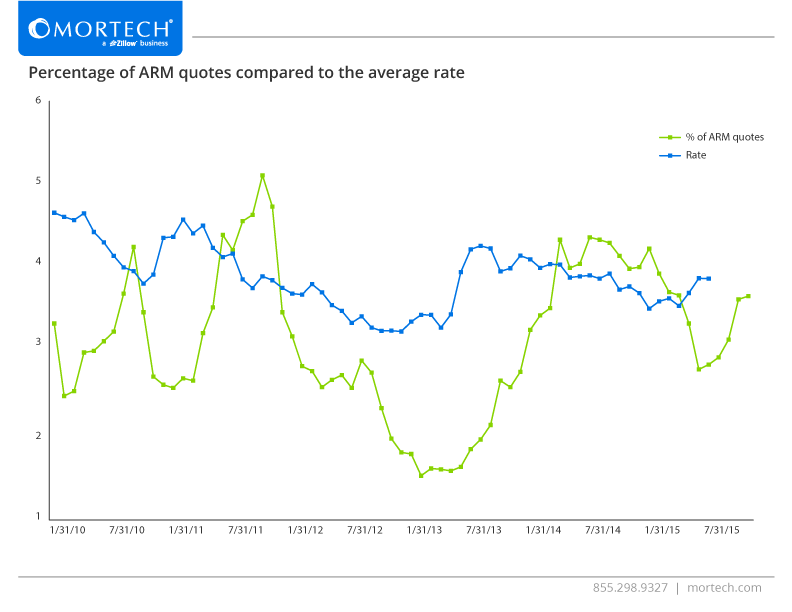 Over the last five years, ARM quote volume has been pretty reliant on the current rate, and for the most part, most spikes in ARM quotes occur when rates are climbing, or have just finished doing so. Inversely, when rates were on the decline, the amount of ARM loans quoted trended downwards, like the large downward spike at the beginning of 2013, for example. When looking at ARM quote volume by state, what’s most interesting is that the majority of states with the highest ARM to total quote volumes were on the east coast. There are exceptions, such as Illinois and Missouri; however, states such as Massachusetts, Connecticut, New Jersey, Maine, and Vermont all had ARM volumes sitting at somewhere between six and eight percent. 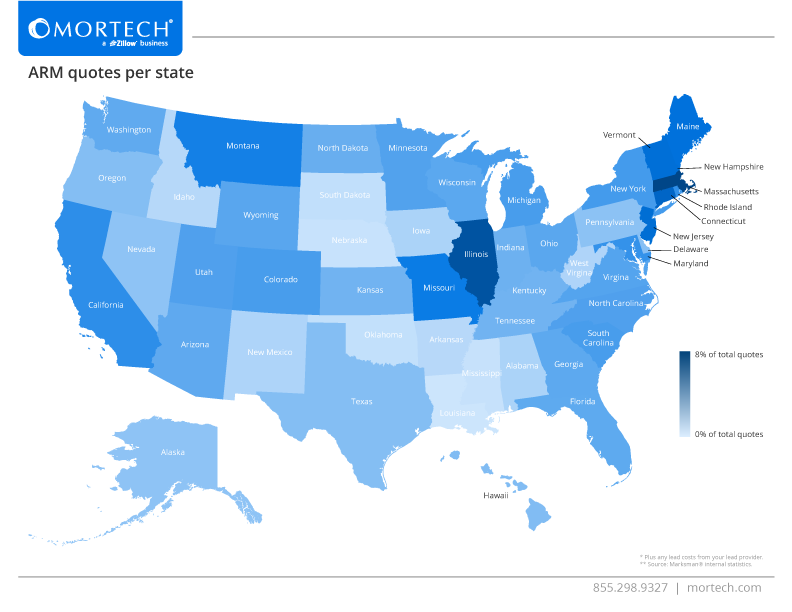 Of the states with the lowest volumes, the Midwest and south own a good majority. States such as Nebraska, South Dakota, Louisiana, and Mississippi all had volumes of around two percent and lower. As rates continue to fluctuate throughout the year, you’ll want to make sure you’re pushing out the most accurate rates possible to as many potential borrowers as you can. Mortech and Marksman can do all of that for you, and can also provide you with things like secondary desk tools that can streamline and expedite your day-to-day operations. To learn more about Mortech and Marksman, you can schedule a short, free demo today.